Don DeVinney started plumbing in 1983. 1983 was the start of a huge housing boom in Orange County. After Don was hired on as a plumber’s helper, he made the decision that plumbing was the trade he very much enjoyed and he decided this was going to be his career so he joined the union and was union trained. Don continued to work in the housing tracts until the recession of 1991 at which time Don went over to commercial plumbing and became a foreman and ran numerous commercial projects for 15 years. In 1995, Don pursued his plumbing contractor’s license but continued to work for union plumbing contractors. In 2006, Don left the union and, along with his wife Anita, started DeVinney Plumbing, Inc. Having 8 years of residential and 15 years of commercial and light industrial experience under his belt, Don has a very good understanding of how plumbing systems are built and how they work and is considered a master plumber in his trade. 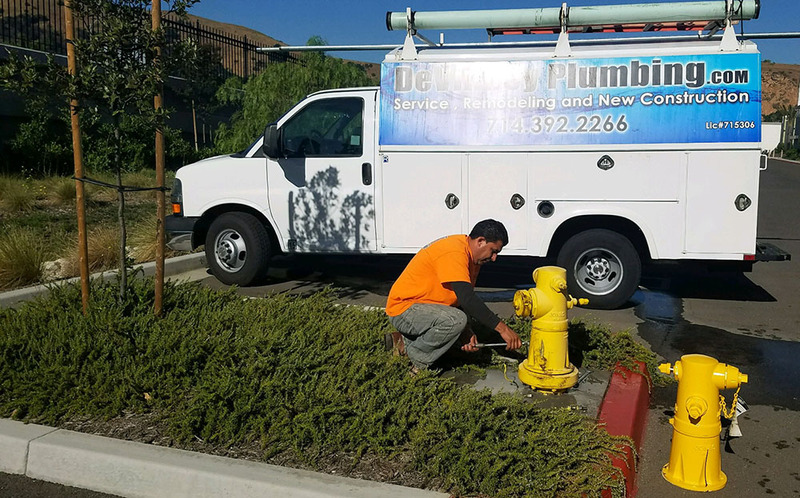 With the years of experience and the different areas of plumbing that Don has had experience with, DeVinney Plumbing is more than capable of handling all your plumbing needs.